St. Maarten, in the Caribbean, recently established its first national marine park – the Man of War Shoal Marine Park. The aquatic area, which opened in late December, is the first step St. Maarten has taken towards preserving the area known as the Proselyte Reef, the island’s most important underwater habitat. “The development of the marine park has been long in the making and we are pleased to have begun the first and most crucial phase of the process. By creating the marine park, St. Maarten is taking steps to preserve the local environment as well as enhancing sustainable tourism,” said Honorable Franklin Meyers, Minister of Economic Affairs, Tourism, Transportation and Telecommunications. St. Maarten transitions to a more independent status in association with the Netherlands when its first Prime Minister takes the helm on Sunday, October 10, and Lelei LeLaulu of the Caribbean Media Exchange on Sustainable Tourism (CMEx) who spoke at the culmination of several days of events marking World Tourism Day, called for a “genesis approach” of intensive planting and growing of flowers, plants and other life forms. “Farmer to table initiatives boost incomes for small farmers while adding local dishes for tourists to savor,” he asserted, adding, “the coordinated growth of flowers attracts birds, butterflies, hummingbirds and other life forms, as well as tourists who love them. “Hotels could host gardeners-in-residence to guide the beautification of hotel grounds, while voluntourist gardeners could help residents make this island bloom,” he suggested to stakeholders attending the St. Maarten Tourist Bureau’s World Tourism Day gala dinner at the Westin Dawn Beach Resort and Spa last month. 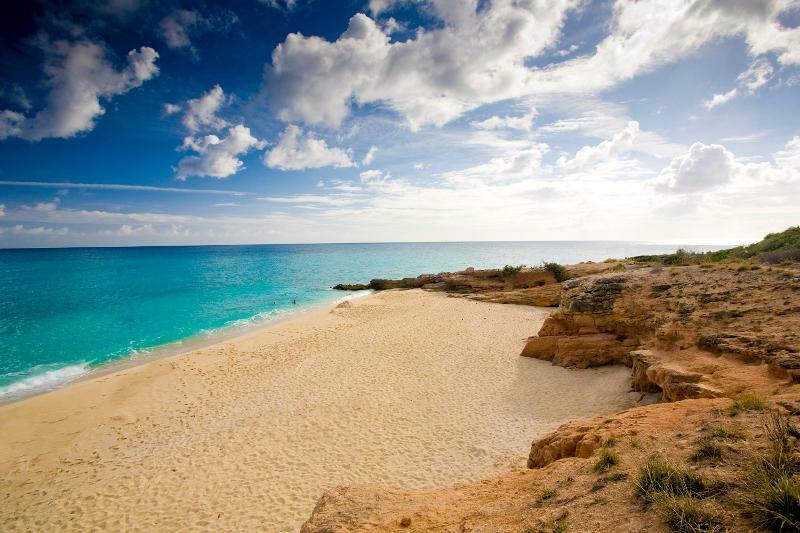 The natural beauty of St. Maarten. Regina LaBega, St. Maarten’s Director of Tourism, said biodiversity and tourism “are not foes unto death” and tourism had a responsibility to defend and preserve St. Maarten’s environment. The Caribbean Media Exchange produces interactive symposia that match journalists from the Caribbean, North America and Europe with representatives of the government, business hospitality and development sectors to discuss tourism policies aimed at improving the lives of Caribbean people. Since its inception in October 2001, CMEx has helped improve the quality of media coverage of sustainable tourism in the Caribbean; increase the media’s participation in the design of sustainable tourism policies; remind government decision makers of the impact of tourism on other sectors of the economy; and highlight the necessity of tourism to the economies of small island states. For additional details, visit www.cmexmedia.org. 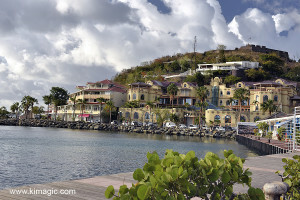 Basseterre, St. Kitts – Get a jump on this year’s holiday shopping with a well-timed trip to St. Kitts, which offers a wealth of shops and markets that sell unique, hand-crafted gifts made by local citizens. Whether it’s the man/woman who has everything or someone who simply is discriminating, it’s easy to find a memorable gift for even the most hard-to-shop-for individuals. Showcasing the creative talents of resident artists, various studios and galleries offer exquisite works of art for sale. Browse the prints, lithographs and even original works of art inspired by St. Kitts, then select one to take home. Visitors can discover the works Kate Spencer, a British-born artist who lives full time on St. Kitts, at her studio on a former sugar plantation or in her gallery at the St. Kitts Marriott hotel. Images of St. Kitts’ iconic Green Vervet monkeys and Carnival are two favorite subjects portrayed at the Spencer Cameron Art Gallery by artist Rosey Cameron Smith, who has lived and worked in St. Kitts since 1978. Booyork Gallery features the colorful paintings of local artist Dennis Richards, who has designed many stamps for the Federation and is also a talented musician. Lovers of pottery or distinctive clothing will delight in unwrapping something from St. Kitts’ craft and artisan shops. Displaying the work of artist Carla Astaphan, The Potter’s House features her one-of-a-kind hand-made and -decorated pottery from nesting bowls to votives to vases and even full tea service that make conversation pieces in any home. No two pieces are ever alike at the Glass Island Designz glassblowing shop, which offers hand-blown glass jewelry, plates, frames, paperweights and more to shoppers. For individually created fabrics, visit the Caribelle Batik factory on the grounds of the old Wingfield Estate, where you can watch the batik being made by hand in the ancient tradition, then buy it in t-shirt, dress, pillow, scarf, wall hanging or other forms in the gift shop. 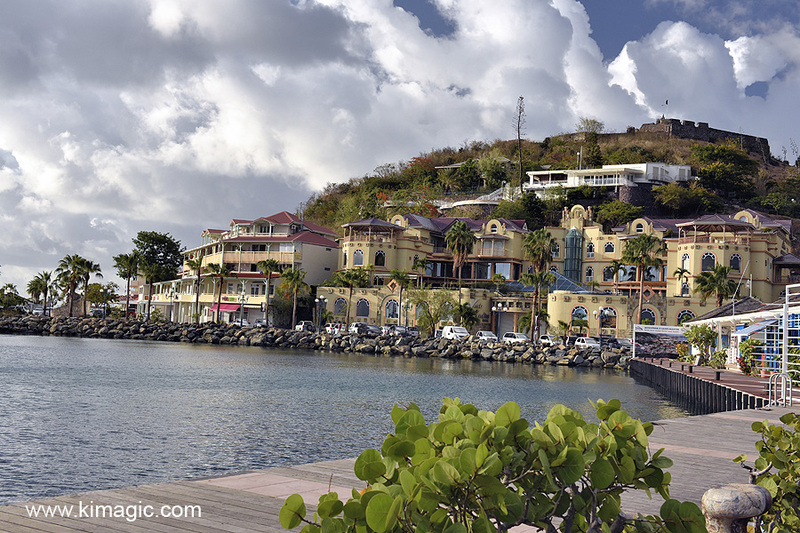 The streets of St. Kitts’ capital city, Basseterre, are filled with plazas, stores, and souvenir outlets that offer authentic Kittitian products for sale. From cloth dolls to wood carved decorative pieces and hand created jewelry, shoppers will find plenty of items that embody the vibrant culture and spirit of the local people. Clothing designers also have shops in Basseterre, including Judith Rawlins’ elegant Brown Sugar, a favorite of stylish women throughout the Caribbean and ideal for fashionistas who would relish a couture present. Stop by any duty-free store on St. Kitts to find various flavors of Brinley Gold Rum, a liquor which is made exclusively on the island and is a favorite of connoisseurs. Pick up sample-sizes or larger bottles of vanilla, mango, lime, coffee, coconut and new spiced rum flavors of this award-winning liquor made on St. Kitts, then bring your favorite home as a gift. Also made on St. Kitts is Belmont Estate Rum, which comes in gold and white varieties and is excellent those who enjoy mixed cocktails. In recent years, St. Kitts’ Port Zante cruise pier has been transformed from a small shopping operation to a veritable shopping mecca. Cruise passengers and island visitors will be dazzled by the range of items for sale, from upscale brand name watches and jewelry to locally made handicrafts, liquor and art. Adjacent to the main shopping area, the Amina Craft Market at Port Zante is known for featuring jewelry created from local stones and shells, clothing made on island and more for a-typical holiday gift-giving.